First mixed in bars along the California-Mexico border in the 1940s, the margarita—tequila, lime juice, and orange liqueur—became a standard beverage in Mexican American restaurants. Frozen margaritas, blended with ice, became popular in the 1950s along with other tropical drinks made with rum and tequila. By the 1970s, the margarita had surpassed the martini as the most popular American cocktail. In 1971, Dallas restaurant owner Mariano Martinez noticed that ordinary blenders did not deliver a consistent mix for frozen margaritas. 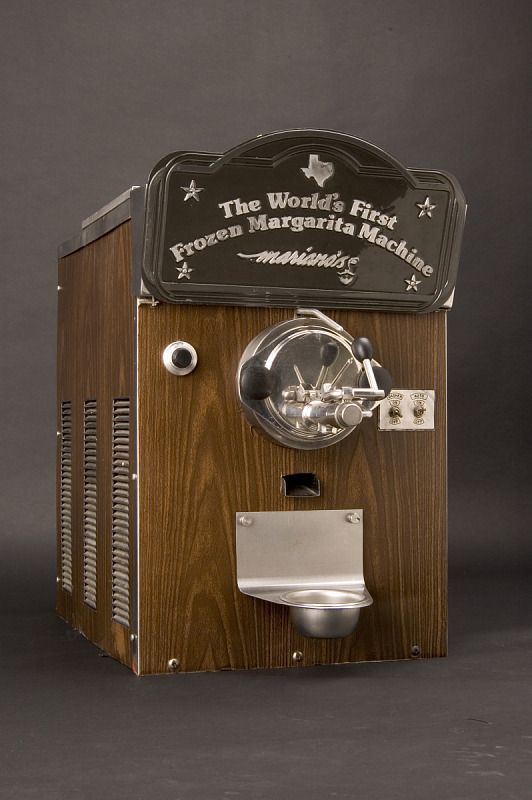 Inspired by the 7-Eleven Slurpee machine, used since 1965 to make semi-frozen beverages, Martinez and a friend, Frank Adams, tinkered with Martinez’s dad’s recipe and adapted a soft-serve ice-cream machine to make margarita “slush.” The novelty was a huge hit.